Is there a better alternative to iMap? Is iMap really the best app in Video category? Will iMap work good on macOS 10.13.4? 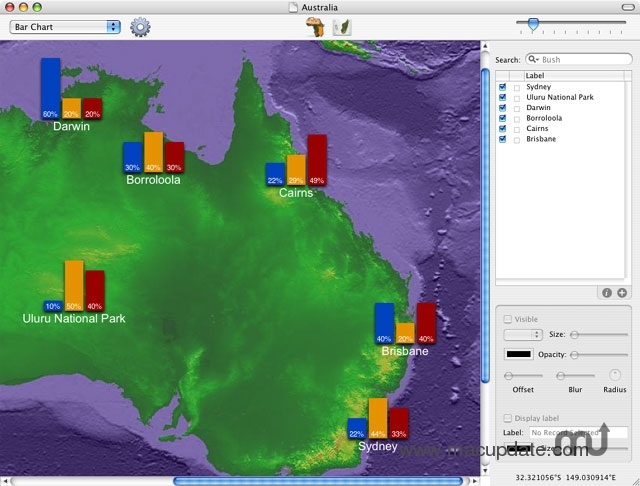 iMap is a powerful yet easy-to-use mapping application for Mac OS X. iMap imports georeferenced data from databases or spreadsheets and maps it onto image or vector maps. Database queries can be used to map only a subset of the record or to filter the records for a certain criterion. Thanks to its plug-in format, data can be represented as symbols, charts, images... Maps can be exported as high-quality PDF files for cross-platform viewing. iMap needs a rating. Be the first to rate this app and get the discussion started! The online help has been redesigned and expanded. It now includes demonstration movies.